I found a bunch of, what I think are fantastic farm designs that I will either use or am already using on a castle I'm building in survival SMP. The 1st reason for me making this thread is because I typically look for the best/most-efficient design before building it. So I thought I could share with you, all of my concluded links in one area. 2nd, is, if there something that isn't the best design, feedback will help me to improve what has or will be built. Anyways. here ya go. Most all of these are tutorials, or are very in depth. Auto Sugarcane farm: I did this design, but I slightly altered the design and stacked it instead. Melon and pumpkin farms: I did the style he shows about a minute in. Seed and flower farm: I did this, but I added a part where RS lamps turn off when you enter and on when you leave, so mobs don't spawn. Considering mine isn't built in a mushroom biome like theirs is. Sand Generator WORKING in 1.3!! Cactus farm: I just did a grid of cactus with dirt blocks in between the cactus and water streams along the sides. Then stacked it. Wheat farm: I had the other design where water pushes it all, took it down cause I saw a design in this video that I think is way better. I also plan to make the dispenser version as well, for personal use. Semi Auto tree farm: I will use both designs, because one is faster, the other does all types of wood. I have made it in creative to have both lead to 1 collection area. After working on those, it seems a better version is out, so enjoy. Slime farm: I have to find a chunk in the area of my castle 1st. Ice farm: AFTER 1.3 is released of course. Netherwart farm: When my castle is finished, might make nether base. When my castle is finished, I plan on making a youtube vid of it. It is HUGE! 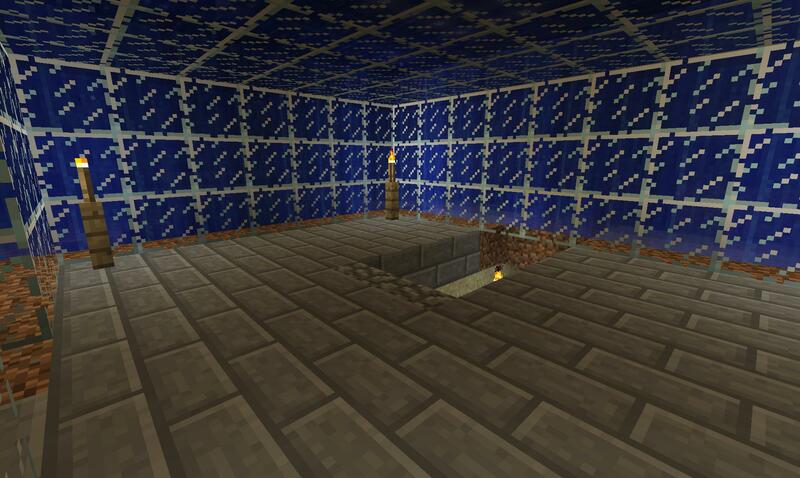 Also, it is being made out of netherbrick on a legit survival smp server. So it's made from semi rare materials. Anyway, I welcome Feedback and suggestions. Automatic farms? Tutorials? Most efficient? No problem. Check out my thread of the best farms I've been able to find. Looks like you're doing an awesome job so far! Can't wait to see this YouTube video you post of it when you're done! Keep on with the good work! "Now why would you do that?" What? No private bowling alley? No helipad? My heart goes out to the poor. This thread turned out better than I originally thought. And thanks! That's all mainly cosmetics. I'm going for things that have a function mostly. Even if it's as useless as a mushroom farm. The server I play on has a town built around spawn with things like that. Restaurants, malls, bars, churches, games etc. I used to be chocolate cake.. but then new Minecraft Forums happened..
Can't be too private if it got robbed.. I wish someone had made something like this when I started. But now that I came across these, I figured I could be that person instead. Glad you like it, and if you discover anything useful or better, more efficient, anything, let me know. Well im trying to make a room that takes me down to a mine. i dont just want to make a ladder that goes down or a staircase because its a decent size room and that would luck empty and weird. Any suggestions? A logoutivator and quick drop. I have them all over the server I'm on. If there is a cave or something above you where you logged in, just pillar that spot with cobble. Then do a quick drop right next to that, with water and a sign. I've built the semi auto tree farms, and they work amazingly by the way! What's the best mob farm design? I'll have to check out Ethos' then. And Very nice. You put a lot more mork into the aesthetic feel of the mineshaft then I did. And the under water thing is rad too. I needa do one of those some time. i just like this thread cause i built an indoor castle and it hard to find ideas for castle rooms because everyone else has an outdoor castle with a village or somethin. Yea, my whole castle is completely indoor. And it's pretty massive too. Especially since it's being built out of netherbrick on survival. And all these farms are literally the best auto farms and whatnot I've found so far that suite my purpose (compact and stackable), along with the fact that most of them are tutorials as well. I figured I could bookmark these links for me along with sharing what I found with everyone else and take in better suggestions/advice. Also, if/when it's done, you should make a video of your castle, I would like to see it. sorry cant video but ill take pictures of it later. Its not done yet but its starting to take shape. 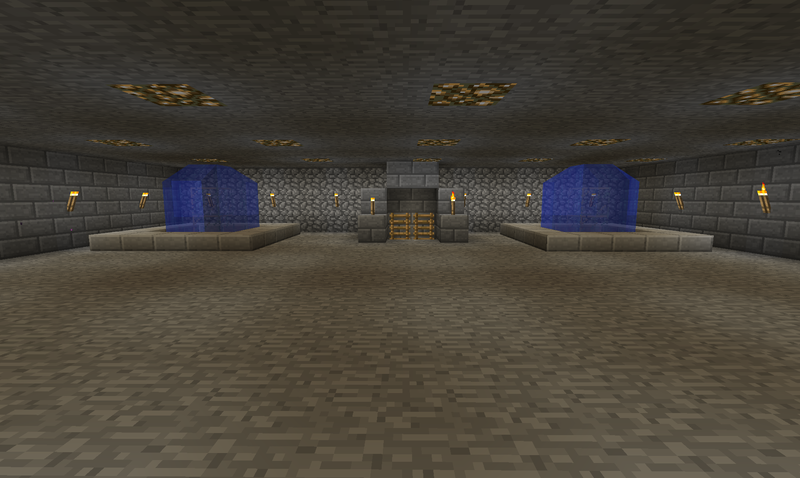 The walls are all finished but i need to add decoration and stuff to the rooms.